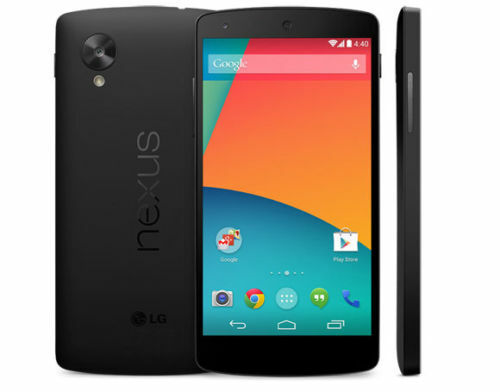 The most awaited Nexus5 from Google is finally available in India for purchase. You can buy the Nexus 5 from Play Store, the 16GB model is priced at RS 28,999, while the 32GB will cost 32,999. The handset comes in White and Black color options. The handset appeared on the Play-store earlier this month with the same price tag. The phone runs on stock Android 4.4 Kit-kat OS and features a Full HD 4.9 inch display with Corning Gorilla glass 3 protection. The wireless charger and bumper case of the Nexus 5 are also available from play store. The features and specs of the handset are quite impressive. The handset would reach you within 7 days from the time of purchase. The 4G LTE technology on the handset will not work in India.You can also buy the Nexus7 2013 which recently went on sale.